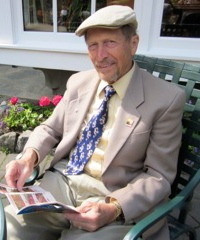 Striving for new heights on the literary landscape, following careers in radio, commercial banking, and real estate, Jon Foyt began writing novels with his late wife, Lois. He holds a degree in journalism and an MBA from Stanford and a second masters in historic preservation from the University of Georgia. A marathon runner (60 completed) and prostate cancer survivor, Jon, 81, is active in an adult retirement community near San Francisco.
" Having trouble navigating the Goodreads site for authors. How to you arrange for the give-away for a novel coming out soon? If you have to send copies Having trouble navigating the Goodreads site for authors. How to you arrange for the give-away for a novel coming out soon? If you have to send copies, where to? And you only get copies after the book is published. Has anyone tried the Goodreads advertising program based on clicks? Thanks. Jon Foyt ...more "
" In US, Bowker sells batches of ISBNs. With an independent publisher shown (other than amazon) some independent bookstores will allow readings, figurin In US, Bowker sells batches of ISBNs. With an independent publisher shown (other than amazon) some independent bookstores will allow readings, figuring Amazon us trying to put them out of business, even though you may actually be publishing through CreateSpace. Jon Foyt ...more "
" Stay 51. I tried, but it didn't work. Jon "
To his surprise, a 24-year-old Columbia Ph.D. candidate, Josh Foreman, learns that his elderly grandfather, a man he never knew, has died and willed him his house in Syracuse, New York. His father, who is estranged from the grandfather, tells Josh to take “a couple of days off” to settle the estate—have a garage sale, sell the house and return to his studies. On his first day ever in Syracuse, Josh meets a vivacious newspaper reporter, Maggie Sullivan, a self-confident single mother, who has been assisting the grandfather in cataloging his papers—personal letters and diaries of the Foreman ancestors, who were the movers and shakers in the building of the Erie Canal. Josh’s inheritance is challenged by an African-American, who announces he is also a family descendant of the 200-year old slave-owing patriarch. Before Josh can sort out this development and the subsequent incident of the Onondaga Indian Chief proclaiming that his sovereign nation owns all the land under the town of Syracuse, which includes the Foreman House, he is confronted with the megachurch pastor’s disparaging remarks about his grandfather’s alleged embezzlement and thievery of the Erie Canal folk art from the local museum. The attorney/executor of the grandfather’s estate assures Josh that the genealogical pretender’s claim, the Noble Savage’s assertions and the specious charges of embezzlement and theft can all be settled, but it may take years. With the impatience of youth, Josh befriends his presumed black brother, who comes to the awareness that the attorney, in his youthful days, participated in the Mississippi Project that won the right to vote for the pretender’s grandfather, thereby eliminating the issue of heir apparent. Maggie confirms rumors with her sources that the megachurch pastor, who is a museum board member, is addicted to gambling, and so to throw off any accusation that he is the one who has embezzled the museum funds, he points to Josh’s grandfather as the culprit. With the help of Josh’s Millennial friends—Maggie, the African-American, an Assistant U. S. Attorney right out of Howard University, the attorney’s Girl Friday and four professional poker players from South Jersey—he arranges to stage a gentlemen’s card game in the backroom of the historic Danforth Tavern to resolve the question of the embezzlement and to restore Josh’s grandfather’s reputation. In the denouement, Chloë, Maggie’s two-year-old daughter, figuratively opens the attic trunks to reveal a paternity, a wartime romance, a reason for bigotry and a basis for reconciliation.
" I am unable to remove a book from my author books, or add new novels. Is there a way to email Goodreads? Jon Foyit "